Renault has had a presence in Morocco for decades. The first vehicles were sold there in 1928 under a company called Somar. This became Renault Morocco in 1967 after the company opened the Somaca assembly facility at Casablanca. In 1999, the French replaced the locally produced Renault Express van with the Kangoo. In 2005, Renault became a major shareholder in the Somaca plant and, two years later, plans for a brand-new plant and supporting infrastructure, including a rail link to a new port known as Tangier-Med, were revealed. The new Tangier plant opened in 2012 and a second production line began at Casablanca the following year. The Renault and Dacia plants have an impressive grip on the Moroccan new-car market. Dacia has a 29% market share and the two brands together have 42%. That said, France has retained very close, and very cordial, relations with its old colony. Indeed, French government ministers have been involved in encouraging more automotive companies to take advantage of the Tangier-Med infrastructure and invest in the area. 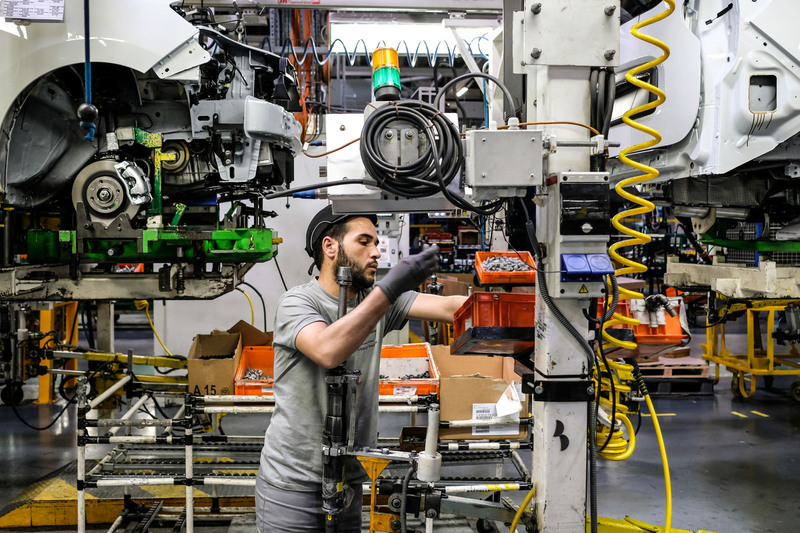 Morocco’s minister of industry, Moulay Hafid Elalamy, said earlier this year that he expects the country to be producing one million vehicles – with 80% of components locally produced – by 2020. Today, it produces 650,000 units. 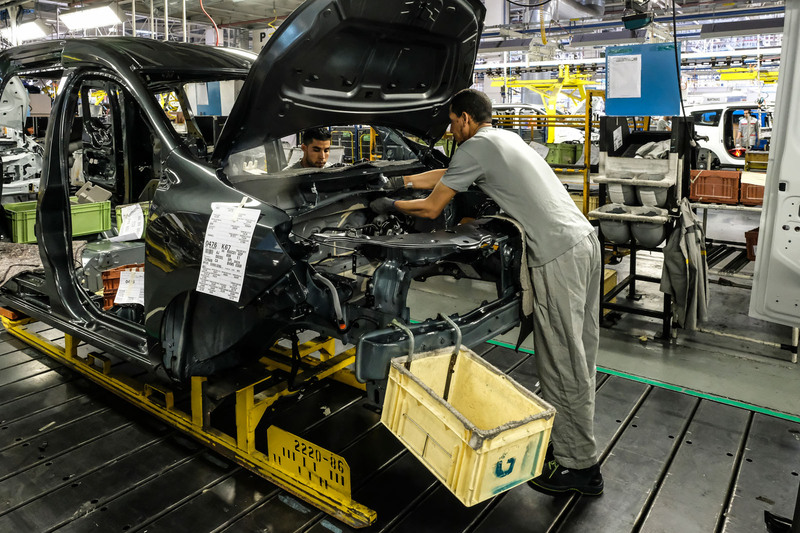 The Renault-Nissan Tangier facility is arranged over 300 hectares and has an annual capacity of 340,000 vehicles, running six days a week with a staff of 8000 people. It builds four Dacia models: the Logan MCV, Lodgy, Sandero and Dokker. The millionth Tangier car rolled off the line in mid-July. The completed Dacias are transported by the new rail line directly to the dockside, from where they are shipped around the world. But the real achievement of the Tangier plant is its energy efficiency. More than 90% of its power needs come from renewable sources – and this is not an assembly operation. The body panels are pressed from rolls of steel and welded and painted on site. The hillsides around the factory are dotted with wind turbines. When at full capacity, it’s estimated they produce 10 times the amount of electricity needed by the plant. But as well as electrical energy for robots, welding, lighting and so on, the factory needs thermal energy sources, especially for the paint shop. The factory’s biomass heating plant has three boilers and a total output of 18MW. These send out water at various temperatures, including high-pressure super-heated water for the paint ovens and hot water for the paint booth and conditioners. Providing water in this way is energy intensive, so coming up with a renewable method required a solution described as “unique in the automotive industry”. The biomass plant burns olive stones (from Morocco’s massive olive oil industry) and wood from the pallets used in the delivery of components. Moreover, Renault says some 45% of the energy used in the Tangier paint shop is recovered. It uses two unusual new techniques. 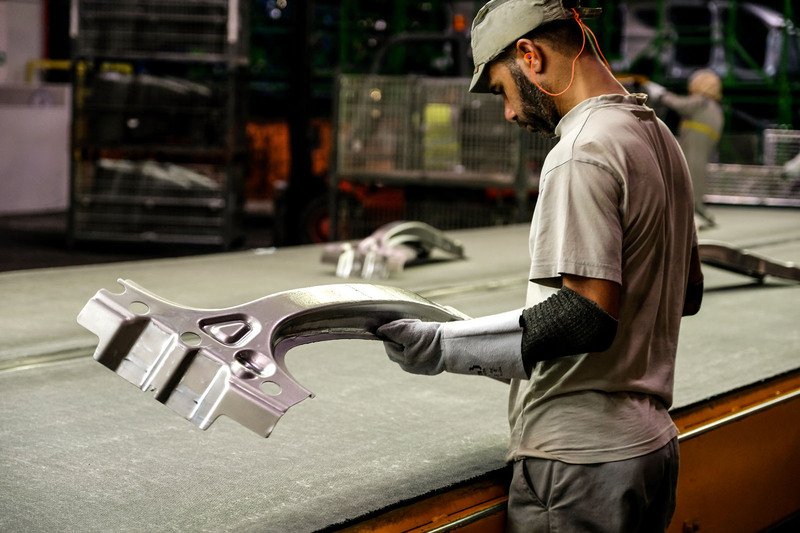 In the painting cabins, ‘thermal wheels’ (which are made of pierced aluminium, measure six metres in diameter and weigh six tonnes) heat up the air being drawn into the cabin, with the heat of the exiting air resulting in, claims Renault, a 60% energy saving. Thermal exchangers are used in the paint shop’s heating chambers, which run at 150deg C, for a 20% energy saving. The plant also boasts that it has “zero industrial effluent discharges” by recycling 100% of the industrial waste water using ‘reverse osmosis’ and ‘evapo-concentration’, reducing the plant’s overall water consumption by 70% – something that is of great concern in a country such as Morocco.